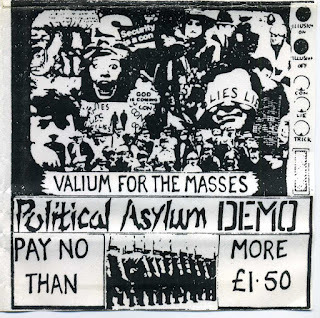 Political Asylum was an anrcopunk band formed in the early 80s and active untill mid 90s.This is their second cassette.It has a folded sheet reporting the lyrics and various info,it was self released and then re-printed by the spanish Puuagg!!! 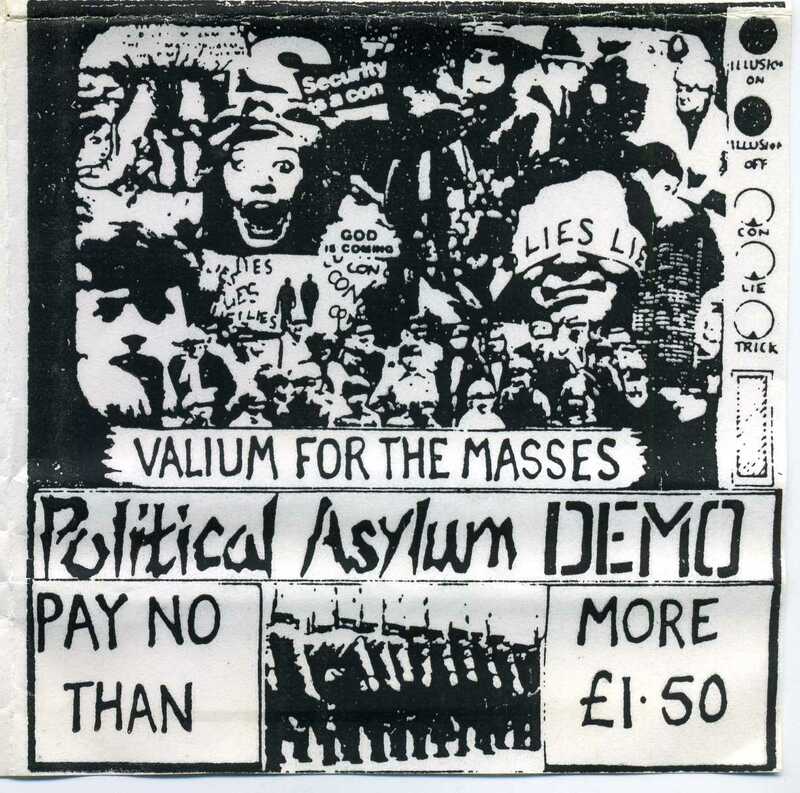 Tapes and the swiss Resistance Productions. Amazing lyrics and very good music too.Here a discogs page where you can check their other productions.